What Is a Lender Overlay? If you’ve been studying underwriting guidelines recently to determine if you’re eligible for a mortgage, it’s important to understand that they can vary widely from bank to bank. In a nutshell, lenders have different appetites for risk, along with different specialties, so what one lender will gladly approve, another may not touch with a 10-foot pole. One important concept you should familiarize yourself with is the “lender overlay,” which is essentially an expanded guideline (or set of guidelines) on top of what Fannie Mae, Freddie Mac, or the FHA/VA will allow. Think of it as a second coat of paint, applied after the primer. The primer is the bare minimum necessary, but you don’t see people driving around too often without that second coat. The same goes for mortgage guidelines. Fannie Mae, Freddie Mac, and the FHA/VA all set underwriting guidelines for residential mortgages, but they don’t actually lend directly to consumers. Their job is to purchase and/or securitize the loans that fit their guidelines, which is why they have them to begin with. By doing so, lenders are able to sell their loans more easily, knowing they fit certain pre-determined guidelines, which allows them to originate more loans via increased liquidity. When it comes down to it, individual banks and lenders are the ones doling out loans, and so they impose their own rules on top of those guidelines, known as overlays. They do this to protect themselves from costly buybacks, assuming the loans sour after being sold, and to remain in good standing with their selling partners. FHA Says Yes, We Say No! You may have read lately that the FHA will accept credit scores as low as 500 as long as you’re able to put 10% down. While this is true as far as the FHA goes, the particular lender you may be speaking with could require a minimum FICO score of 640. This is their comfort zone. Perhaps they’ve looked at default data and found that borrowers with scores below 640 happen to miss mortgage payments frequently. If they want to maintain a good relationship with the FHA, they’ll throw in that credit score overlay to ensure they only make quality loans, even if the FHA doesn’t require them to do so. This reduces buyback risk and ensures they’ll continue to be able to do business with the FHA. After all, the last thing a lender wants is to lose its ability to make certain loans, assuming they plan to sell them off to the FHA, or Fannie and Freddie. The opposite was true for Wells Fargo, which imposed a minimum credit score of 600 for FHA loans, before succumbing to pressure from HUD to lower their minimum credit score to 500, assuming other criteria were met. This is but one example of a lender overlay – there are literally hundreds of overlays required by individual banks and lenders throughout the country. They range from credit score (most common), to max loan-to-value, to max debt-to-income ratio, and much more. For instance, a streamline refinance may have no appraisal or credit score requirement, but a specific lender may want a certain minimum score and an appraisal. Additionally, the guidelines may indicate that you can get a new mortgage just days after a short sale if you remained current on payments, but most lenders will impose overlays to deny you. Lenders may also restrict the type of loan you can select, such as an adjustable-rate mortgage in certain situations. And even those nifty solar panels on the roof could present a problem if the lender doesn’t want to deal with the associated solar panel lease. 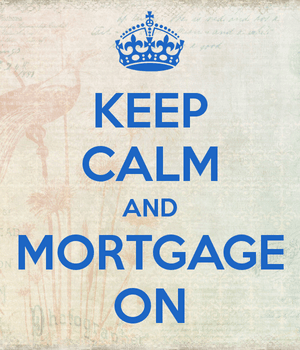 In every situation, the lender is looking to mitigate risk to ensure loan quality is upheld and maintained. Now you should have a better idea of the master guidelines issued by Fannie, Freddie, and the FHA/VA, and those issued by individual lenders. This should make it easier to find a loan, knowing that not all lenders will take on the same risks. So if one lender denies you, there’s a chance another will approve you, and vice versa. Unfortunately, it’s difficult to dig through all the guidelines and overlays of each bank and lender out there. If you have a particularly difficult loan scenario, it may be wise to enlist a mortgage broker who can shop your loan with multiple banks at once to avoid any potential roadblocks. There’s usually always a lender willing to do what another won’t, though the mortgage rates can and will vary. The best thing you can do as a borrower is minimize situations where overlays may surface. In other words, keep your credit score in good shape, make sure you maintain a steady job, keep money in the bank, and stay current on your mortgage. Pretty lame how individual lenders won’t actually adhere to the guidelines of Fannie Mae, Freddie Mac, and the FHA. What’s the point if no one is actually willing to lend? Unfortunately, lenders have to worry about high default rates and buybacks, so even if they’re technically allowed to engage in what’s probably high-risk lending, it doesn’t always make sense for them to do so. However, as loan volume drops, so too should overlays as lenders look to drum up business. A lot of lenders have been doing away with overlays lately thanks to shrinking loan volume. As business slows down, overlays will fall to the wayside, which is good news for borrowers who know the guidelines and expect lenders to live up to them. The problem Marcie, is that the fha will back away from its own rules when too many loans start to go bad. They then send out auditors to look for minor discrepancies in the loan files in order to force the lender to buy back the loans…. So lenders, having other regulators to deal with, occ, fdic, frb, etc., will become more conservative. Lenders are in a no-win situation and are used as pawns by big brother. It has really gotten that bad in banking.